Important information you need to know so you get the most for your money. Tax scams don't just happen on the phone. Phone tax scams are popular but they happen so frequently that even the Tennessee Bureau of Investigation has been the target. One that we don't hear much about is the inflated refund claims scam. The IRS warns, "Taxpayers should be on the lookout for anyone promising inflated refunds. Be wary of anyone who asks taxpayers to sign a blank return, promises a big refund before looking at their records or charges fees based on a percentage of the refund. " Scammers use high level trust outlets such as community groups, flyers, social media, and other forms of word of mouth. Who do these scammers target? "Scammers frequently prey on people who do not have a filing requirement, such as those with low-income or the elderly", The IRS says. They add, "scammers also prey on non-English speakers, who may or may not have a filing requirement." They promise larger refunds based on fake Social Security benefits and false claims for education credits or the Earned Income Tax Credit (EITC), among others. Filing a phony information return, such as a Form 1099 or W-2 In some cases, individuals have made refund claims based on the bogus theory that the federal government maintains secret accounts for U.S. citizens and that taxpayers can gain access to the accounts by issuing 1099-OID forms to the IRS. How can you tell who the good guys are? Sometimes finding the good guys can be confusing. Honest tax preparers will always provide a copy of the return they filed. The bad guys will sometimes deposit the return into their own account, deduct a large fee and then pass the remaining return on to the client, if there is anything left. This is not something a legitimate preparer will do. Be sure to take extra care in choosing a preparer. Remember you are ultimately responsible for what is on your return, even if someone else prepared it. Of course, we are always available to help you file your return. For more information on Inflated Refund Claims log click here. The IRS has some good news for those in Texas affected by Hurricane Harvey. Storm victims in 16 Texas counties have until Jan. 31, 2018, to file certain individual and business tax returns and make certain tax payments, the Internal Revenue Service announced today. In a press release sent to media outlets on August 28, 2017, officials announced an additional filing extension for individual taxpayers with valid extensions that run out on Oct. 16 and businesses with extensions that run out on Sept. 15. To read the full press release and for a full list of available extensions head over to www.irs.gov. Have You Been the Target of an IRS Scam? Phone scams are very common in this day and age. We've all answered calls from some random phone number that involves boat horn sounds followed by a very excited person exclaiming we have won a 7 day cruise to some exotic island. My favorite scam is the email from the Kenyan prince who has a boatload of money that he needs to hide, and he has chosen ME of all people to help him get it out of the country. Those calls and emails are pretty easy to spot as scams. It's the calls from someone claiming to be with the IRS that are far more difficult to spot and, therefore, more successful than most. Why are they so successful? They play on a very real fear that we as Americans have of the IRS. Even though we know we have hired an accountant or other tax prep professionals that we trust to prepare our tax returns and we have taken all the steps to file them on time, those three little letters strike fear in our hearts. We work hard to earn money in order to provide for our families, and there is a fear that it only takes one call from the IRS for it all to be taken away. Scammers know that fear all too well, and they use it to their advantage. So what should you do if you get a call from someone that claims to be with the IRS? First, remember: According to the IRS, "Private debt collectors can call taxpayers for the collection of certain outstanding inactive tax liabilities but only after the taxpayer and their representative has received written notice." They add, "Private debt collectors for the IRS must respect taxpayers' rights and abide by the consumer protection provisions of the Fair Debt Collection Practices Act." That's not to say you won't get a call from the IRS. The IRS website states, "An IRS revenue agents or tax compliance officers may call a taxpayer or tax professional after mailing a notice to confirm an appointment or to discuss items for a scheduled audit." If the IRS contacts you regarding a past debt, revenue officers will work directly with you to educate you about your options to resolve delinquencies and to collect delinquent taxes and tax returns, all while protecting taxpayers' rights. Ultimately, if you are being contacted about a debt to the IRS, you should already be aware that you owe the money. Very rarely is it a surprise if you do in fact owe. Still believe you were contacted by a scammer? You can report your interaction and let the IRS know. Contact the Treasury Department here. 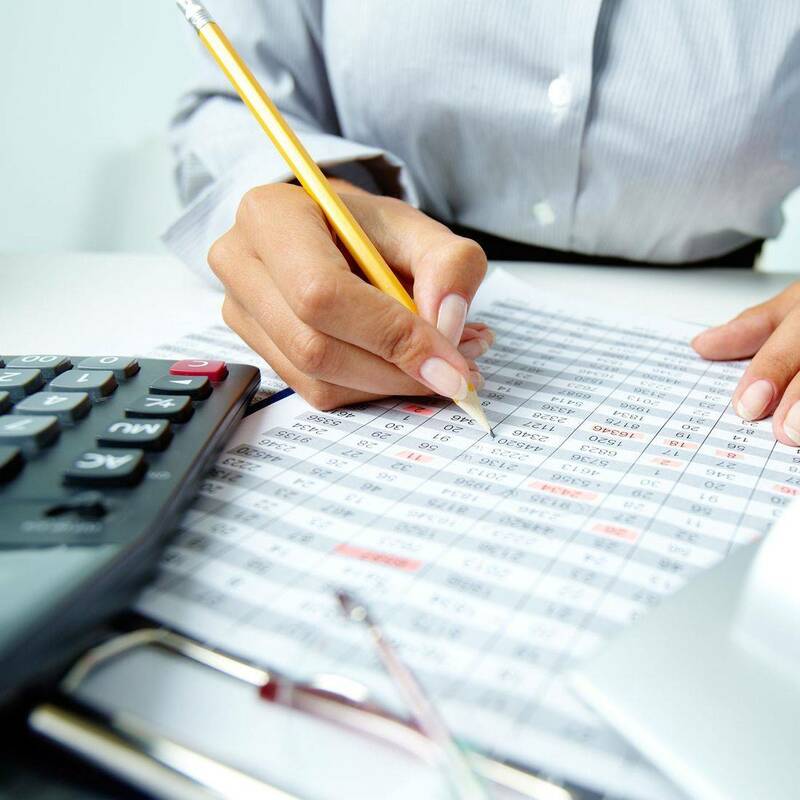 You may have been in business for a short while or you may be a seasoned professional but there are a few things your accountant wishes you knew. Knowing where you stand with your finances makes it possible to to act if and when a problem presents itself. If you see a problem fix it. Don't wait on your accountant to fix it. They aren't babysitters. Not sure if there is even a problem? Ask. Your accountant would much rather you ask for help than to have a major mess to fix later down the road. Your accountant wants you to understand what's going on with your business finances and they are there to here to help you do just that. Information is power. Not have a good understanding of where you stand could be detrimental to your business. So seriously, just pick up the phone and ask. You shouldn't want or expect your taxes to be done in an hour. Effectiveness and accuracy takes time. Taking the time to organize receipts and important documents saves on billable hours and minimizes errors. Ask your accountant how to best organize your documents to help them maximize they time and make it just a little easier on them. Even though your accountant loves to treat you as their only client please remember they have other clients as well. By being mindful of this fact it allows them to provide an exceptional level of service to all of their clients.